The past decade has seen corporate implosions, financial shenanigans and economic crises and as such there is a massive increase in the corporate regulations. With the old model of corporate management based on short-term profits and high-risk growth going bunk there is an emergence of a new approach that is focussed on safeguarding the survival and success of the company. 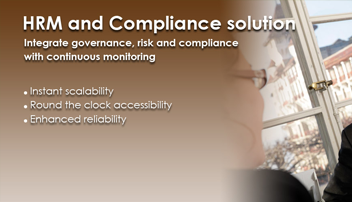 A solution that integrates governance, risk and compliance in the enterprise is what ITSPL provides. A good HRM starts from the time the company starts the hiring process.